Both I-91 rivals are a mix of veteran and young talent, but after scoring four unanswered goals over the last two periods, the Connecticut Whale showed how they have managed to hold onto first palace in the Northeast Division while the Springfield Falcons struggle to remain out of the division basement with a chemistry-led and convincing 5-2 win over in front of 5,448 at the XL Center on the last game of 2011. Despite having strong talent like goaltender Manny Legace, AHL All-Star Martin St. Pierre, veteran Adam Mair, left winger Matt Calvert, ex-Wolf Pack captain Dane Byers and future AHL Hall-of-Famer Alexandre Giroux and young talent like Cam Atkinson and Tomas Kubalik the Falcons just seem adrift on the ice as they have lost all five games against the Whale this season. For the Whale, Francois Bouchard, the game’s First Star, had a break-out game pacing the Whale with three assists. Kris Newbury extended his points scoring streak to seven games with two goals and Pavel Valentenko, quickly moving up the depth chart, had a goal and a helper, including what proved to be the game-winner for the Whale. For the past two summers, former Hartford Wolf Pack high-scoring wing Alexandre Giroux had Europe on his mind. The personable Giroux had established himself as a premier AHL player without getting a full-time shot at the NHL, so he thought it might be time to head overseas. But when the start of free agency rolled around on July 1, 2010, Giroux had second thoughts. Sure he had scored more than 300 goals in the AHL, including 60 and 50 in the 2008-09 and 2009-10 seasons as the Hershey Bears won back-to-back Calder Cup titles, but he had played less than two dozen games at the highest level and the itch remained to be there. 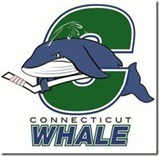 For the 2011-2012 Connecticut Whale, truer words have never been spoken. Entering the third period trailing for the ninth time in twenty-two games, the Whale scored five, that’s right five, power play goals and came from behind in the third period for a win for the fifth time already this season and defeated the Springfield Falcons 6-3 in front of 3,523 at the MassMutual Center Saturday night. Cam Atkinson could be the Tim Tebow of hockey. Virtually all Atkinson has ever heard about are his shortcomings (pardon the pun) rather than the big things that he has to offer, like speed, soft hands and a good shot. But like the much-maligned Denver Broncos quarterback, Atkinson has been a winner everywhere he has gone, from three New England Prep School Championships at Avon Old Farms — where doctors said he would never play again because of a severe leg injury in his freshman year — to a NCAA Division I title in his second of three seasons at Boston College. 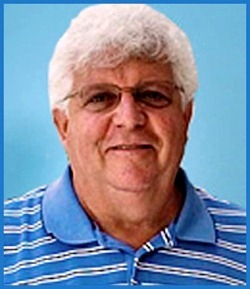 Say what you will about Connecticut Whale head coach Ken Gernander, but the guy knows how to motivate a team and he knows how to win. For the fourth time in the last five games, the fifth year Wolf Pack/Whale Head Coach did what it took to turn a lackluster two-period performance into a highly motivated, intensely focused “team.” Gernander minus three of his best players, led his “team” to, once again, come from behind in dramatic fashion. Howard Baldwin is the “Godfather of Professional Hockey in Hartford” on several fronts, spanning nearly four decades. First, Baldwin became one of the youngest executive in professional sports when he was a founder and partner of the World Hockey Association’s New England Whalers at the age of 28 in 1971. The Whalers franchise won the WHA’s first AVCO World Cup championship in 1973 and then relocated from Boston a year later to try to find its own identity away from the NHL’s Boston Bruins, in its own building as a vehicle to revitalize downtown Hartford. “The New York Rangers organization is greatly saddened after learning of today’s tragedy,” said Sather. “Words cannot begin to express the magnitude of devastation for such unimaginable loss. Colin McDonald didn’t hide his feelings – and didn’t want to, either. After scoring an AHL-leading 42 goals with the Oklahoma City Barons last season, the Wethersfield native felt slighted when the Edmonton Oilers made an offer he could easily refuse. Then McDonald got one from the Pittsburgh Penguins that wasn’t as lucrative as some of his other offers but certainly made him feel wanted. When the Connecticut Whale next take on the Columbus Blue Jacket’s top farm club in Massachusetts to face off with their 1-91 rivals the Springfield Falcons, staring at them across the red line will be two former Hartford Wolf Pack alumni. Alexandre Giroux signed with the Blue Jackets on a two-way deal and today the team announced that former captain Dane Byers has signed a two-way deal with the team as well.